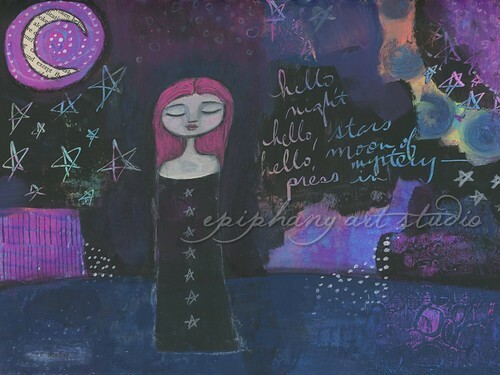 A Free Quickie Mixed Media Art Demo: "Moon and Stars"
I've been wanting to do more fast art demo videos for you and, now that I'm getting a bit of energy back post-first trimester, I have! It's fun to do these quick videos for you, with minimal editing but (hopefully) a good bargain of inspiration for just a few minutes' of watching time. I really enjoy watching other artists' fast painting videos, and I hope you enjoy this one. And if you are hungry for more art-in-motion videos, you can find the rest of mine here.